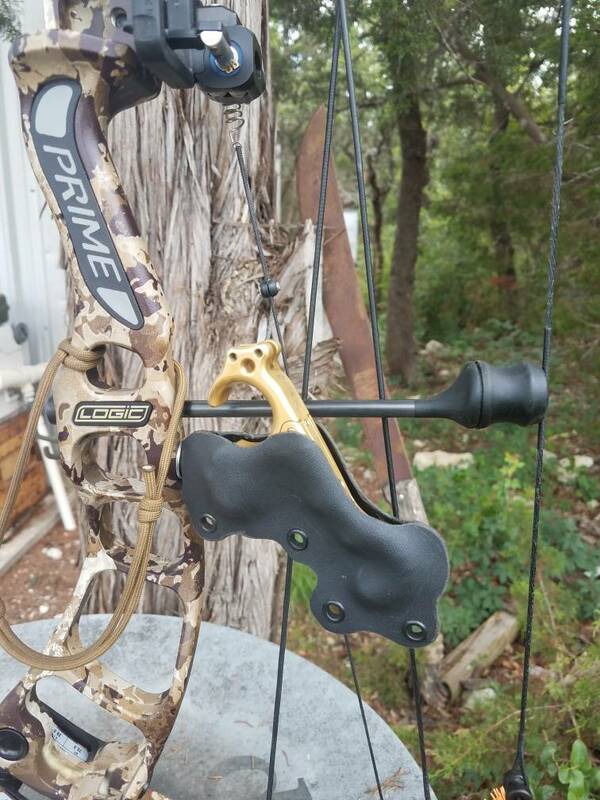 How long have you been shooting it? How much confidence do you have in it right now? This is my first year exclusively shooting a hinge while hunting. I started training with it as soon as season ended last year to build my confidence in it and help with tp. I’ve killed 5 animals since the beginning of season but I have all the confidence in the world that when that shot breaks that arrow is going exactly where I want it. Jim burnworth shoots one from western addiction, I believe is the show. Last edited by kd350; 11-09-2018 at 07:27 AM. Levi Morgan hunts with one too. I killed my elk with a wrist strap this year, then gave it away to make me shoot a hand-held. I killed a deer last month with a thumb. I shoot them much like a hinge. I can shoot a hinge just fine, but I'm still trying to get the sear set exactly where I'd like it for a hunting scenario. I'm looking at a Tru Fire Sear or a Scott Longhorn Hunter just so I won't have to worry about loosing one when I'm hunting. If you are shooting so much better with the hinge why even debate using another style release aid? This is a specific question, not trying to be an *******. Do you think you will not have the time? Do you think you will not be able to "command" the shot if needed? Do you think the clicker will spook deer? FWIW, I have been using a handheld release on and off for years. I just switched to the HBX a few years ago and I love it; I don't use a click, clicks make me anxious. Lots of people use them, the only real reason not to is in your head. I shoot a tru ball HBC hinge release with no click. It makes me a better archer in every situation. I assume there ia a lot more that goes into it than just the shot. I.e. what if i drop it while in my tree stand, do some think the click is too loud, etc. Since original post, To remedy the dropping it part i bought a 2 dollar "survival bracelet" from walmart, and added some cordage so that if i drop it, the release is still attached to my wrist. Just buy two, one in your pack and one in your pocket. My release is like my pocket knife when hunting. It’s always there. I'm too dang cheap for that. Ha. I literally just made a stabilizer from home depot to see if it is just as good at 30 bucks as the150 dollar ones. So far so good. Groups are better, thats what matters! That's why i ask, I don't know what's in your head! I dropped mine from the tripod once, so I made a holder for it. I'll post the picture in a minute. As far as the click, I have never heard of anyone missing a shot due to the click; it is loud for you, but it's right by your ear. I guess it's possible, but the pros far outweigh the cons. Klassy Rat! I like. Make it yourself? Yea i agree the click is nice. Its like a two stage trigger on a rifle. I use a Scott Longhorn hex with wrist strap, click slows me down too. Shot 5 animals so far with it this season.